also known as purple coneflower, grows in virtually any garden situation. 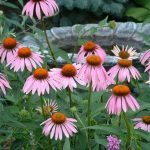 From moist, fertile soil, to dry and arid conditions, echinacea has the right variety that will show off and thrive. particularly ‘hands-on’ because the less you fuss with this herb, the healthier it becomes. We have several varieties here at Watters Garden Center, some grow upright or some with trailing habits. There is one to fit almost any garden situation or design. spread anywhere you allow and many places you don’t! Mint is a refreshing, pleasantly scented, gentle, tea herb. 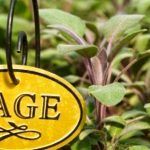 Try growing many varieties if you’re really interested in using mint for tea. 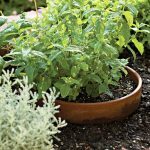 Don’t allow mint varieties to mingle; allow plenty of room between each variety. This helps ensure that bees and butterflies do not cross-pollinate your plants. Some gardeners choose to plant mint beds out of sight of one another which seems to be an effective way to keep them pure to their flavor. alongside your best flowers, or independently in a beautiful glazed pot. From shades of pink, purple, blue to white, lavender is a genuinely beautiful perennial herb. 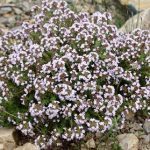 You will be shocked at how little water this herb really needs. This is why it does so well in the driest parts of the landscape. 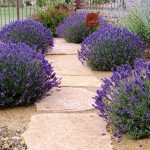 In fact, it’s not the cold of winter that can stress lavenders, but winter dampness, so give your plants plenty of drainage. 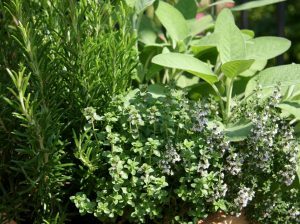 August 11 @ 9:30 am “Herbs from Garden to Table” with guest instructor and local celebrity chef Deborah Maranville, owner of The Natural Healing Garden. She knows her herbs and uses them to create health-centered food choices that focus on utilizing local produce and delicious organic food. Join Deborah for a tantalizing cooking demonstration that will focus on the best techniques to get the herbs from your garden to spice up your cooking. August 4 @ 9:30 am “Easy to Grow Roses” There are so many different roses to choose from–more than our grandmothers ever knew existed! Learn the differences between hybrid tea, floribunda, shrub, carpet, etc. Students will understand the best rose varieties, care, and placement for non-stop blooms. Free to local gardeners that want more fragrance & color in their yards. If you can’t attend this class join the 1000+ viewers that watch the Livestream on Facebook. ‘Like’ the Watters page to be notified when we go Live. Until next issue, I’ll be helping local gardeners plant the freshest herbs, all available here at Watters Garden Center.